Safety should be any professional driver's biggest concern, ahead of meeting deadlines and any other consideration that goes into their work. If they're not keeping themselves and other drivers safe, they're creating personal and professional hazards that could be difficult to overcome. With that in mind, it's particularly important for drivers to be cognizant of perhaps the biggest contributor to everyday driving mistakes: speeding. Interestingly, there has been a lot of trucker outrage in recent weeks, with Outagamie County, Wisconsin, formally considering a change to lower its speed limits on Interstate 41 - which sees more frequent crashes and traffic jams than other similar interstates - from 70 miles per hour to just 55, according to the Appleton Post Crescent. This proposed change comes as state and local officials are also pushing for the interstate to be widened to accommodate more vehicles overall. The concern isn't just that a speed-limit reduction will make it more difficult for drivers to meet their delivery deadlines. There's concern the significant slowdown could also lead to more traffic jams, the newspaper said. "I've had a lot of people comment about it," Mark Arft, the general manager of Fox Valley Truck in Appleton, told the newspaper. "Talking with people who are truck drivers, people in the industry, nobody's really in favor of it. There's a lot of concern that it's just going to make traffic that much more congested ... everybody I've talked to is not in favor." Of course, truckers have to know what the speed limit is on any road where they're driving, among other critical factors. But the need to maintain safe speeds on the road isn't just safety related - even if drivers aren't getting into accidents (despite the increased risk), they're potentially opening themselves up to extremely costly speeding tickets, according to WalletHub. For instance, while the average cost of a maximum ticket for reckless driving across the U.S. is $845, it can be as significant as several thousand dollars in some states; Oregon leads the nation with an average reckless driving maximum fine of $6,250. However, 26 states do not automatically cite offenders for reckless driving if they hit a certain speed above the posted limit. Twenty-one use speed cameras to automatically catch drivers, the report said. Speeding remains a factor in more than a quarter of all deaths in vehicle crashes, and many states have rather strict speeding laws as a consequence. Most drivers don't speed excessively, but there are other risks associated with driving at least 10 miles an hour over the limit, a poll from SmartDrive found earlier this year. Drivers who speed regularly are also significantly more likely to engage in other dangerous behaviors behind the wheel - including talking on the phone, texting, eating or drinking, even doing paperwork. 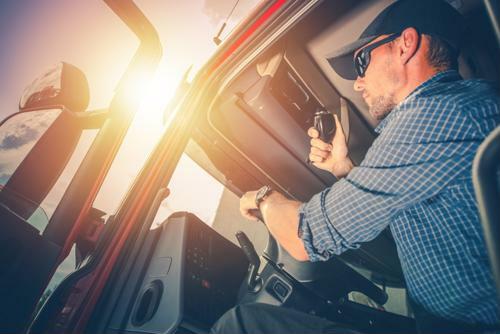 The more drivers and freight companies alike can do to make sure they're getting out in front of potential safety risks from speeding to multi-tasking, the better off everyone on the road will be in the long run.